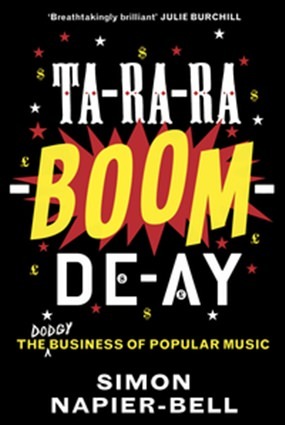 Ta-Ra-Ra-Boom-De-Ay has been written by local personality Simon Napier-Bell, with the sub-title The Dodgy Business of Popular Music (ISBN 978-1-78352-031-2, Unbound Books, 2014). And if you want to meet someone who knows the dodgy business, there is probably no-one better versed in this than Napier-Bell whose CV includes co-writing Dusty Springfield’s “You Don’t Have To Say You Love Me”, managing the Yardbirds and Wham and George Michael and having written three previous books on the music industry including “Black Vinyl, White Powder” a book that opened my eyes a few years ago as to the nature of the music business. The Jewish invasion of the music industry since the early 1900’s has shown that double-dealing was/is brought to the level of an art form, while record labels were horse traded, sheet music duplicated, and the dog listening to his master’s voice changed kennels. 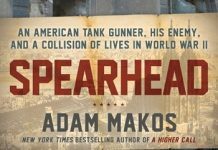 The earlier chapters are interesting in the historic aspect, but as the time scale approaches living memory, with bands and singers that will be known to all readers over the age of 12, a personal aspect drags the reader into the musical maelstrom. You “know” the Rolling Stones and Guns ‘N Roses and Michael Jackson, so their antics become more readily understandable, with Napier-Bell succinctly psychoanalyzing the stars. I enjoyed this book, with the promise on the cover of “Welcome to the music business: a world of greed, corruption, self-interest and fun.” Ta-Ra-Ra-Boom-De-Ay certainly does welcome you to the fold of the cognoscenti. I understand more than I ever did before. The back cover says it all” “Read it and you will never listen to music in the same way again.” Highly readable and informative. The review copy came directly from the publishers, so there was no Thai RRP, but I would expect the book to be in the B. 600-700 range, and worth every satang. If you have even the slightest interest in popular music, and how the industry developed over the years, get this book. It is also available from Amazon as an e-book.